Synopsis: Jay Austin Alex Kendrick wants to sell you a used car, but watch out! Many victims have fallen prey to his smiling face and hasty promises. Austin does everything his way until his dishonesty and manipulation are repeatedly exposed. Like many men, the masks he wears and the lies he tells disgust him. 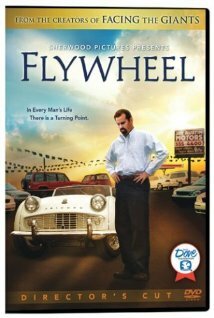 While having a classic convertible repaired, Austin begins a humorous and powerful journey to win back the hearts of his wife Janet Lee Dapper, his son Richie Hunnewill and his community. In every man’s life, there can be a turning point. Jay Austin takes it, and he never looks back. Dove Worldview: This film came out before the hit “Facing the Giants.” It is made by the same church, Sherwood Baptist Church in Albany, Georgia, and Alex Kendrick is once again the leading actor. He is very good at playing a used car salesman who is shady in his dealings. When he overhears his son mention that he doesnt want to be like his dad, who doesnt treat people fairly, Jay Austin Kendrick seeks the Lord and gives his life over to God. Things change dramatically in Jays life but he still has to deal with his shady past.This film is funny at times, dramatic, and will inevitably make the viewer think. It is wholesome with some minor crude comments, and we gladly award five doves to the film. People who struggle in the world of sales will no doubt find it inspiring. We want to note that it has been re-edited and the color has been improved for this new release. via Flywheel Directors Cut Review by The Dove Foundation. Really good movie, not as good filming as their other movies but still a good story.